Italian Yvonne De Fleuriel (1889-1963) was a singer and actress of variety and silent films. She was very popular during the Belle Époque. Italian postcard by Fotocelere, Torino (Turin), no. 125. Italian postcard, no. 124. Collection: Didier Hanson. Yvonne De Fleuriel was born as Adele Croce in Teano (according to Wikipedia) or Frosinone (IMDb), both in Italy, in 1889. At a young age, she made her stage debut as a ‘generic actress‘ in the company of Eduardo Scarpetta. In her early twenties, she met the actor Nicola Maldacea, who introduced her to the world of the chanson. He also suggested her to take the stage name of Yvonne De Fleuriel. The beautiful singer became popular among the public, when she performed in the best-known café-concerts in Naples. She was now one of the most famous Italian singers. She interpreted the traditional Neapolitan songs, most of them written by Giovanni Capurro, Rocco Galdieri and Gennaro Pasquariello. Among the best known songs of De Fleuriel were Nini and Girala la rota (Turn the wheel), both from 1908 and written by Luigi Mattiello. The beautiful Yvonne De Fleuriel had many lovers. She rejected Carlo Meretti who - with Galdieri - had procured her her success Thérèsine in Paris. He committed suicide. Hence De Fleuriel's reputation as a femme fatale started. Italian postcard by Premiato Stabilimento Fotografico Ditta G. Meretti, Firenze. Italian postcard by Ed. A. Traldi, Milano, no. 557. From 1918, Yvonne de Fleuriel tried her luck in the cinema again, now at the Roman film studios. First, she worked at Tiber Film, where she played the female lead opposite Tullio Carminati in Il trono e la seggiola/The throne and the chair (Augusto Genina, 1918). In this romantic comedy, Carminati plays a Merry King, who is bored by court life and finds happiness in the arms of a Roman countryside girl, Cecilia (Le Fleuriel), State affairs recall the king to his Blue Reign, where he is urged to marry a lady of noble kin, to save the crown. But the Merry King has never forgotten his Cecilia. He abandons crown and reign and returns to Rome, to embrace his simple and good country girl again. Il trono e la seggiola had its first night in Rome on 20 September 1918, two months before the First World War ended. At the time, Dino Lombardo wrote in the Neapolitan journal La Cine-Fono (25-12-1918) that this comedy was successful in every which way. 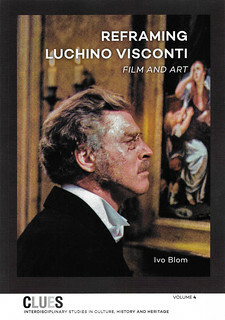 Lombardo praised the script by Genina and Piero Romolotti for its straight forwardness, while still keeping the combination of sentimentality with liveliness. Lombardo also praised the direction by Genina and the production by Tiber Film. Finally he lauded he actors Carminati, Oreste Bilancia and in particular Yvonne de Fleuriel. 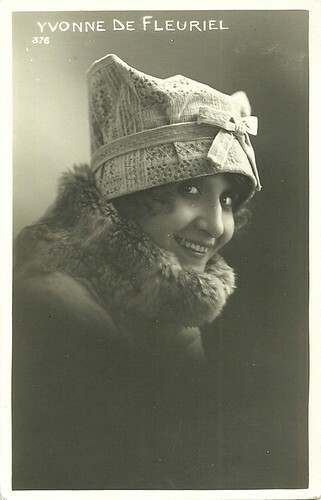 Despite her fresh start in film after her career in vaudeville Lombardo noted: "She has given a 'devilish' liveliness and a unique sentimentality." 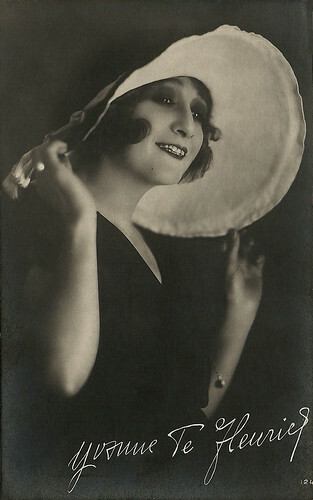 Later de Fleuriel played a minor part in L'ondina (A. Albertoni, 1917) starring the Milanese star Bianca Virginia Camagni, and she had lead roles in such films as Il veleno del piacere/The poison of pleasure (Gennaro Righelli, 1918) with Diomira Jacobini. In 1920, De Fleuriel moved to Turin, where she had the female lead in Io sono fatta cosí! (Alessandro Rosenfeld, Paolo Ambrosio, 1921), a sentimental comedy which was well received by the Turinese press. She also appeared in La modella di Tiziano/Titian's model (Paolo Trinchera, 1921) with Mario Voller-Buzzi, for which the press considered De Fleuriel too cold. 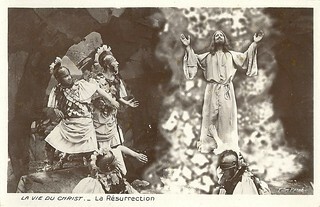 Both Madame l'Ambassadrice/Madame the Ambassadrice (Ermanno Geymonat, 1921) also with Roberto Villani, as well as De Fleuriel's performance were praised by the Turinese press, although a critic thought De Fleuriel's make-up horrible. She also was a corrupting femme fatale in Le braccia aperte/The open arms (Guido di Sandro, 1921) opposite Mary-Cléo Tarlarini as the mother who tries to save her son. 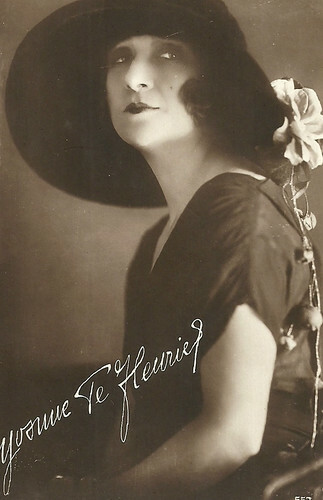 De Fleuriel played her last parts in two Roman silent films. The first was L'ignota (Guglielmo Zorzi, 1923) with Fabienne Fabrèges, which despite the names of the actresses went almost unnoticed. She also appeared in La madre folle/The Crazy Mother (Carmine Gallone, 1923) with Soava Gallone and Arnold Kent (aka Lido Manetti). 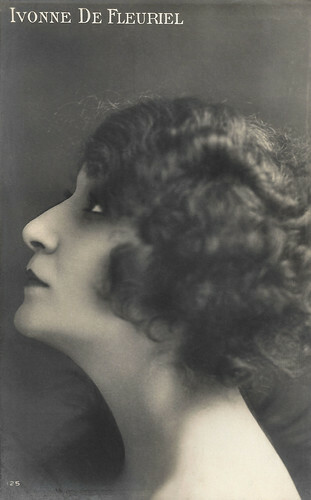 Because of the crisis of the Italian cinema in the 1920s, Yvonne de Fleuriel moved to Germany. 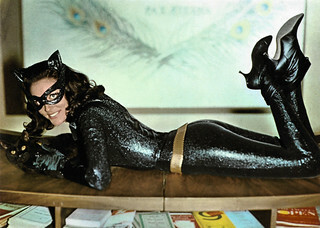 She had lost her famous physical beauty by then and only found work as an extra. In the following years, she returned to Italy, where she fell into disgrace. She settled in Rome, the city where she lived the last years of her life, poor and lonely. Forgotten, Yvonne de Fleuriel passed away in 1963 in Rome. She was 74. Italian postcard by G. Vettori, Bologna, no. 376. 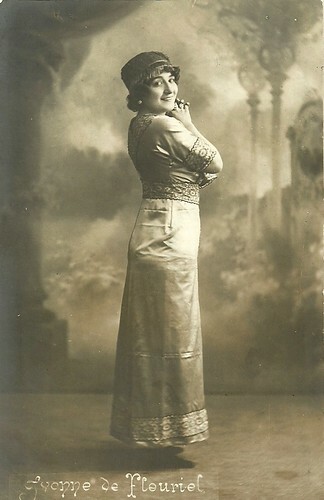 Yvonne De Fleuriel sings Nini (1908). Source: rigoletto90 (YouTube). Sources: Wikipedia (Italian) and IMDb.